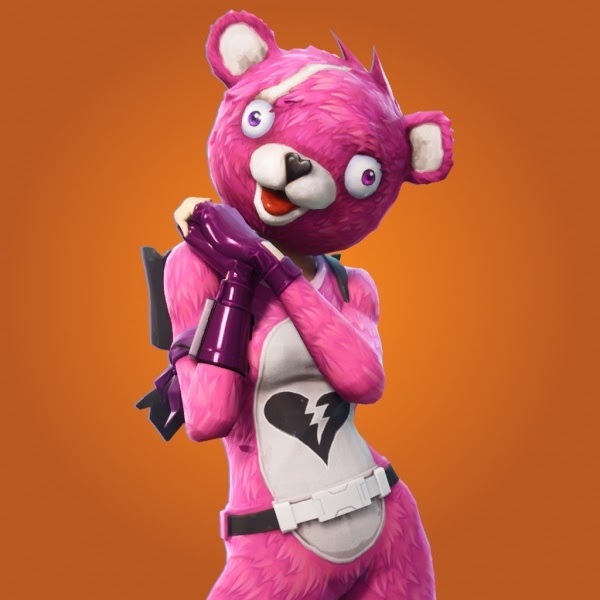 She's Fantastic: Fortnite - CUDDLE TEAM LEADER! This figure has great articulation. Her shoulders have a double-cup design that lets the whole shoulder joint "shrug" or dip (in addition to the standard hinge-and-swivel for the humerus portion of the arm). She has bicep swivels, double-jointed elbows and knees, ball-jointed head, rib cut, and waist cut, hinge-and-swivel wrists and ankles, and a hinge at the ball of each foot. The hip articulation is a little weird. It reminds me of the female DCUC joints in the sense that it looks great standing at attention, but with almost any degree of posing the inner mechanics are exposed and ruin the illusion. The only blatantly missing articulation is some kind of thigh swivel. I feel like a cut could be so easily hidden at her thigh straps and knee pad. These would have added to the poseability tremendously. 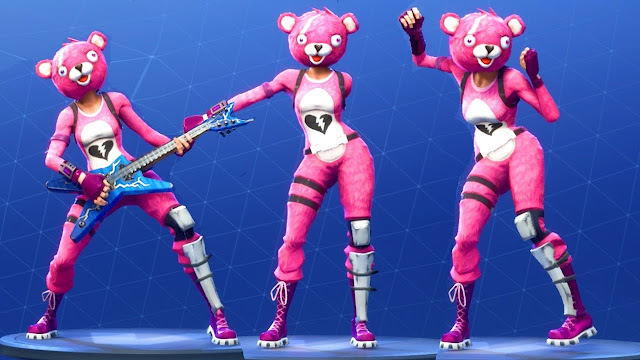 Cuddle Team Leader comes with a figure stand, the Rainbow Smash Pickaxe, a gun, and a bow that she can wear like a backpack. I wish she were able to perform the trademark cute-pose above, but her arms and hips just won't cooperate. Here are my Cuddle Team Leader toys so far: Funko Pocket Pop, McFarlane Action Figures, and Funko Pop. There is also a Funko Vynl and Pint-Size Hero coming out shortly, and I'm hoping the Jazwares 4" line might include our fuzzy pink friend as well. This figure is a lot larger than I expected. She stands at a full 7" tall. Which makes me think the males are probably 7.5"
Just seen the previews for the upcoming Jazwares 4inch Fortnite figures and they look good, Cuddle Team Leader is in a 4pack with Brite Bomber and two male skins. Like Mcfarlane they're going all out and above their usual quality and articulation.